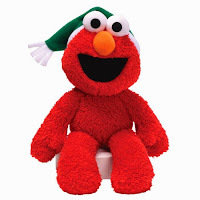 Born Gifted have kindly donated the Gund Christmas Take Along Elmo to our prize giveaway this Christmas. The Born Gifted story began in 2002 when founders Penny and Jim Wilson decided to leave behind their normal ‘9-to-5’ jobs and embark on the exciting new challenge of starting their own business. They chose to focus on e-commerce in the baby gift and toy sector because there was a real lack of exciting products available to the online consumer. 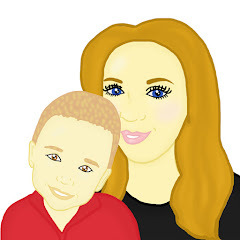 Thanks to a lot of hard work Born Gifted is now one of the market leaders in online children’s gifts and toys. Maxwell and I recently reviewed the beautiful Boxed Nativity Set by East of India on our blog. You are able to read our review here. Maxwell and I loved our Boxed Nativity Set by East of India and it has sat on our window sill the whole of this Christmas period. I am 100% sure it will see many more Christmas's. This Christmas Born Gifted is offering one lucky reader of Mummy To The Max, the chance to win an amazing Gund Christmas Take Along Elmo. To enter all you simply need to do is enter the simple rafflecopter below.